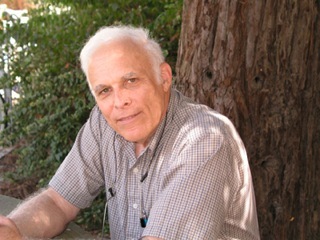 Jerold Last is a Professor of Pulmonary and Critical Care Medicine at the University of California’s Medical School at Davis. He has a Ph.D. degree in Biochemistry and does research on asthma and health effects of air pollution on the lungs. He is also a big fan of California mystery novels. Jerry writes hard-boiled mystery books that are fast moving and entertain the reader, while introducing the readers to a region where he has lived and worked that is a long way from home for most English speakers. Montevideo, Salta, Machu Picchu, and Iguazu Falls are characters in these books, and the novels portray these places as vivid and real. He lives in Northern California with his wife Elaine, who breeds German Shorthaired Pointers, and with Vinia, Jolie, Schöne, and Ries, four generations of GSPs who contribute interesting material for his blog. A quick search of Amazon will turn up books and articles in biochemistry previously edited or authored by Jerry, as well as his South American mystery novel series. The settings and locales for all of these novels are authentic; the author lived previously in Salta, Argentina and Montevideo, Uruguay. He has collaborated with local scientists in Uruguay, Argentina, and Peru. The Deadly Dog Show, set in California, is the fourth novel in this series, following The Ambivalent Corpse, set in Montevideo, Uruguay and the surrounding region, The Surreal Killer, set in Peru and Northern Chile’s Atacama Desert region, and The Matador Murders, set in Montevideo and Santiago, Chile. Just released is a fifth novel, The Origin of Murder, a riff on Charles Darwin’s classic “The Origin of Species”, which brings Roger, Suzanne, Bruce the Nanny, and Eduardo Gomez to the Galapagos Islands where murder and intrigue once again await our detectives in South America. All of these mystery novels are available as Kindle E-books from Amazon. Two shorter books, a novelette and a novella, in this series, The Body in the Parking Structure, set in Los Angeles, and The Body in the Bed, set in Montevideo, are also available from Amazon. A novel-length anthology of shorter stories entitled Five Quickies for Roger and Suzanne, including The Empanada Affair, a novella set in Salta, Argentina, and The Haunted Gymnasium, a shorter and somewhat paranormal mystery set in Fortaleza, Brazil, is also available as a Kindle E-book from Amazon. Just released is a fifth novel, The Origin of Murder, a riff on Charles Darwin’s classic “The Origin of Species”, which brings Roger, Suzanne, Bruce the Nanny, and Eduardo Gomez to the Galapagos Islands where murder and intrigue once again await our detectives in South America.